Raíces or "Roots" is an organization started in Tampa, Florida that is dedicated and committed in uniting all Latin@ communities of Tampa through the education of our histories; as well as empowering us all to take action. Together we will fight against the existing immigration system which separates families, punishes immigrant workers, the undocumented and by extension, other oppressed peoples. LLAMADA EN DÍA CONTRA EL GOBERNADOR RICK SCOTT, exigirle que LICENCIAS DE APOYO A TODOS !! * Puede hacer varias llamadas durante todo el día! Alrededor de 2010 Rick Scott dejó claro donde se encontraba en el tema de la inmigración. Hizo comentarios culpando a los inmigrantes por costarle al estado “incontables miles de millones” y por tomar los empleos de los residentes de Estados Unidos. También vetó un proyecto de ley que permitiría a los soñadores obtener licencias de conducir. Cuando Rick Scott era candidato gobernador, dijo en repetidas ocasiones en entrevistas que él apoya la ley SB1070 de Arizona y que apoya a Sherriff Arpiao en la aplicación de la ley. 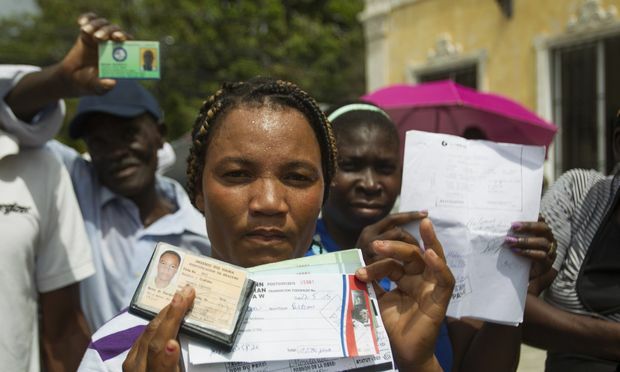 Rick Scott incluso apoya la idea republicana de un sistema de identificación nacional estandarizado. Después de todo apenas decidió pasar matrícula estatal para los estudiantes indocumentados el año pasado, cuando se le preguntó por qué cambió su posición sobre la inmigración, dijo que se preocupaba más por mantener su promesa de no aumentar la matrícula estatal de la Florida. Este tipo de pensamiento probablemente es por lo cual propuso la factura de este año para dar licencias a los indocumentados de una manera que se centra en la seguridad en las carreteras y no centrada en mejorar las vidas de las personas indocumentadas que trabajan. Esto también es probablemente la razón por lo cual la ley fracasó. 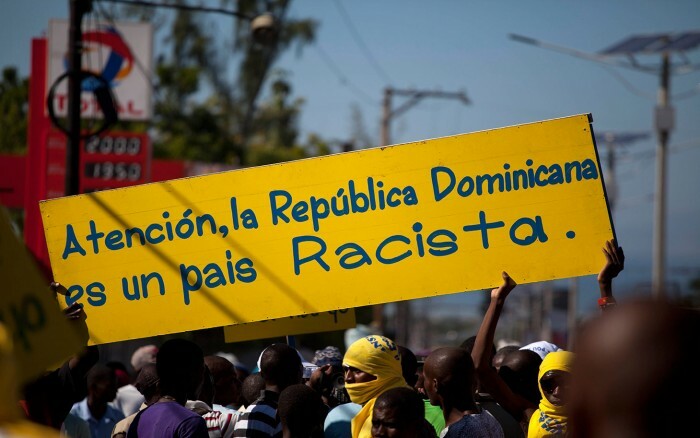 La verdad es que ni los republicanos ni los demócratas quieren lo mejor para la comunidad inmigrante. Ambas partes se opondrán a cualquier proyecto de ley que podría amenazar el dinero de los ricos que han invertido en industrias rentables. Estos incluyen la construcción, el trabajo agrícola, y un sinnúmero de otras áreas que hacen millones de dolares con de la explotación de los indocumentados. Para estas personas, dando un estatus legal a los indocumentados aunque fuera temporal o incluso dando solo una licencia de conducer, podría meterse en el camino de sus ganancias. Es por esto que tenemos que dejar que estos políticos sepan que vemos la realidad detrás de sus acciones e intentos poco convincentes para aprobar reformas sólo cuando es conveniente para ellos. Tenemos que hacerles saber que lo que queremos es una reforma significativa en base a lo que la gente necesita y no en lo que va a proteger las inversiones de los ricos. 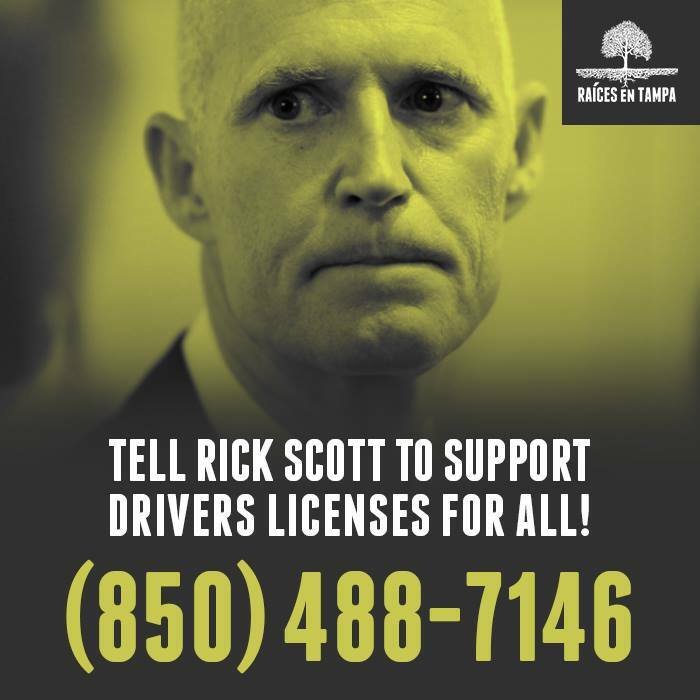 Florida Politicians Vote Against Drivers License Bill – We Continue Fighting Back! Raíces in Tampa has struggled the past two years for all undocumented immigrants to obtain driver’s licenses in Florida; we had meetings with members of the city council of the City of Tampa. Then got together with five of the seven members who seemed very supportive of the idea of ​​giving licenses to the undocumented, they privately, told us they would sign our resolution showing their support. When we finally attended a City Council Meeting and put our drivers license resolution up to a vote, the City Council acted as if Raíces in Tampa did not know we were talking, typical politicians! They lied by saying they had never seen our resolution and when confronted with having them show support – they backed out. As Raíces in Tampa we understand how City Council will take to opportunism and be against the people of their own city (undocumented or not). As recently as April 2015, City Council and Tampa City Mayor Bob Buckhorn publicly SIGNED their support in favor of DAPA (the November 2014 executive action of the President)! Time and time again, City Council members like Charlie Miranda have said that City Council cannot and would not support anything outside of the “power of City Council” – giving the excuse that a State of Florida matter was outside of their jurisdiction and even further, that licenses should be attacked through a national angle. But with the recent DAPA support they both signed, they very publicly acknowledge that they INDEED DO have the ability to sign their support in areas outside of the City of Tampa. Raíces in Tampa agrees that supporting DACA and DAPA is a great step for Tampa and Florida, but why are Bob Buckhorn and City Council remaining silent and not supportive of licenses? Their logic makes no sense and their behavior contradicts their own excuses! Raíces in Tampa demands they both do something locally, NOT give us more excuses. 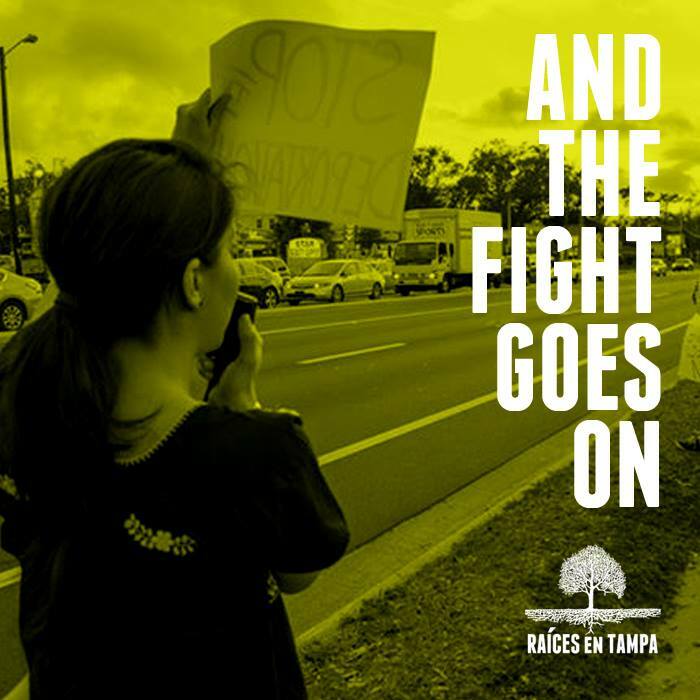 In Tallahassee last week politicians voted against the SB300 bill that would give driver’s licenses to undocumented immigrants in Florida, and while some say the law was for “safer roads”, Raíces in Tampa continues in the overall struggle for equality! We demand drivers licenses for all of the undocumented immigrants in Florida! The problem is not unsafe roads, we the undocumented, are not the ones who make roads unsafe! The government and politicians can not cover the sun with a finger and attempt to make us think we cannot see through their lies and excuses. Drivers licenses are a basic necessity; to go to work with our heads held high, having an ID to say ‘I am valid’, take our children to school, go to church, all without fear! We demand liberation and equality, not repression and deportations. SB300 died this year but that does not mean Raíces in Tampa will stop fighting, we will continue pressuring the City of Tampa to support us and the undocumented, we will continue collecting signatures and seeking support from our city. We will continue pressuring Mayor Bob Buckhorn. We want legalization for all and drivers licenses in the state of Florida. Please follow us as we plan our next steps for licenses. Yes we can!